Looi is a sweet, little kitty who just loves to make new friends. Watch as he puts together all sorts of animal puzzles, and with the wave of his magic wand, brings them to life for some adorable playtime fun. 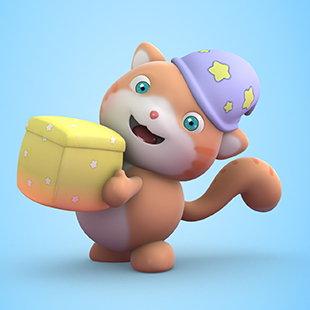 This 3D animation series is especially tailored to meet young babies developmental needs and to stimulate their imagination. Created with pastel colors and soothing music, alongside the figures and storylines, this series radiate a childish simplicity. See what time Looi is playing!